As NACoA celebrates 30 years of service to children of alcoholic parents, we look back gratefully to those individuals who gathered together in November 1982 and February 1983 to form what would become the National Association FOR (not of) Children of Alcoholics. This was a group of people who individually had histories of getting things done and were interested in improving the lot of people affected by parental alcoholism. As NACoA evolved it became clear that the education of absolutely everybody in America as to the nature of alcoholism and its effects on the family was key to making a difference. This is now our mandate. We salute these pioneers and honor and thank them all. Dr. Cermak is currently focused on effective treatment for adolescents who are harmfully involved in alcohol and other drugs. He notes that since a high percentage of these teens are children of addicts, this is the same population he was concerned about when he became involved in founding NACoA. He wrote White Papers on marijuana for the California Society of Addictive Medicine when California passed its medical marijuana law, and a book for parents: Marijuana: What’s a Parent to Do? He continues in private practice, and was named Best Psychiatrist by San Francisco Magazine. Writing under the name Sharon Wegscheider, she authored the book Another Chance: Hope and Health for the Alcoholic Family, followed by other books for recovering families and couples. Today she considers herself retired, while facilitating groups for mothers who have lost adult children, and mentoring women for whom she offers workshops, in Nevada where she resides, on issues of balance of mind, body, and spirit. Vice President for Development for Aspire Behavioral Health, a national company that creates and operates Geriatric Acute Care Psychiatric Hospitals, he recently rejoined the NACoA Board of Directors. Previously he worked for the White House as the Assistant Deputy Director for Drug Prevention, later becoming the lead consultant on substance abuse for the Child Welfare League of America. He built a residential community for 100 recovering addicts, Gateway Community Services, in Jacksonville, Florida. A licensed psychologist, his full time practice is in Santa Barbara, California. He specializes in the diagnosis and treatment of the effects of illness, addiction, and other trauma on the individual, the family, and society. He works specifically with the impact of alcoholism, post traumatic stress disorder, obsessive-compulsive disorder, bipolar disorder, major depression and schizophrenia on every member of the family. “Actor” is her newest job, as she consulted and appears in a movie about family treatment called “Intervention.” She created and helped to facilitate a program called InnerPath at Cottonwood de Tucson, which offers intensive five day workshops for men and women dealing with relationship and family issues. For the last 15 years she has worked on London for Spring Workshops Ltd. for adults in recovery from trauma, addiction, and relationship problems. Award-winning outpatient psychotherapist, cognitive behavioral therapist, private practice social worker and university faculty member Tarpley Long specializes in treating adult children of alcoholics and addicted men and women. Many of her clients have been sober for several years and wish to work on establishing healthy relationships or come to grips with a painful past such as childhood physical or sexual abuse or other ACOA issues. Her research includes over 50 articles and conference papers on Children of Alcoholics and Adult Children of Alcoholics and led to her election to the Cosmos Club of Washington in the category of Meritorious Original Work in Addiction Medicine. She was named in Washingtonian Magazine's Top 100 Psychotherapists and is a member of the American Psychoanalytic Association, the Washington Center for Psychoanalysis and the National Association of Social Workers. 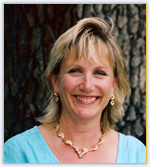 Her clients benefit from her more than thirty five years of experience in the field of addictions and mental health. Learn more on her website www.tarpleylong.com. He continues his full-time clinical practice, with over thirty years of experience in the mental health and addiction field. He maintains an active schedule of teaching and consulting on both the national and international level, with a focus on the family system, its rules, and the dynamics of human development. He is the author of Healing the Family Within and Lost in the Shuffle. Since 1974 Dr. Whitfield’s training and practice has evolved into specializing in individual and group psychotherapy, with a special interest in addicted patients and their families, including adult children. He received the National Child Advocate Award (Believe the Children, Chicago) in 1997. He is Consultant and Research Collaborator at the Centers for Disease Control and Prevention in Atlanta, and has served on the Faculty of the Rutgers Summer Institute of Alcohol & Drug Studies.